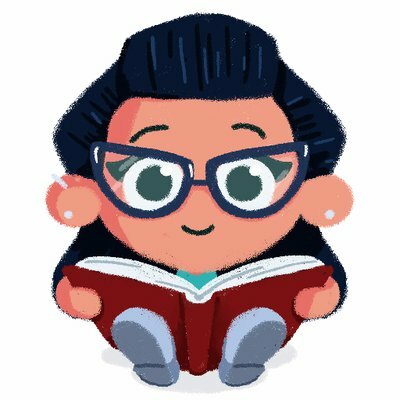 We have a little book review today of a sweet (quite literally) little book. 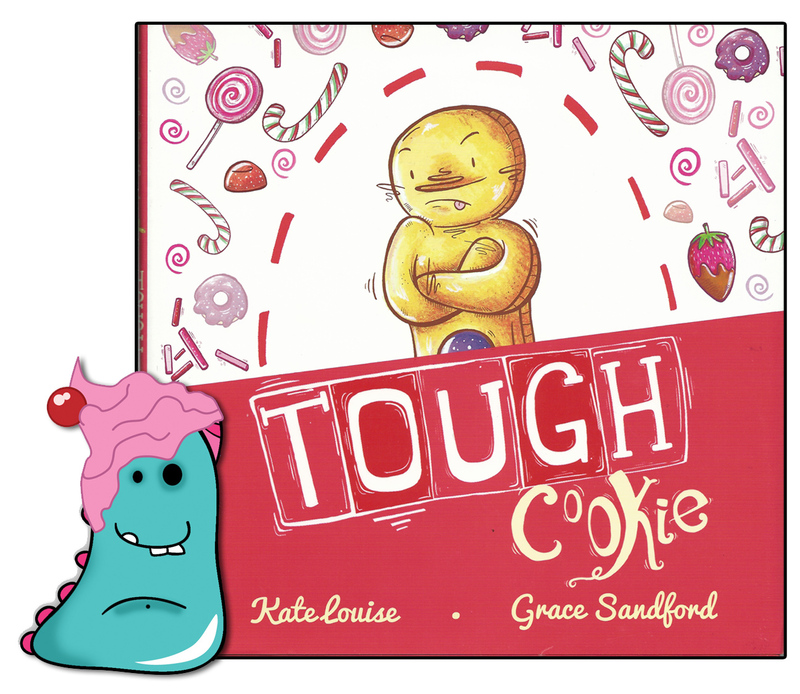 This is Tough Cookie written by Kate Louise and illustrated by Grace Sandford and published by Sky Pony Press. Tough Cookie the story of the gingerbread man that should have been. The poor gingerbread man in this story has NO ginger, (gasp!!) when the careless baker forgets to add it to his recipe!! 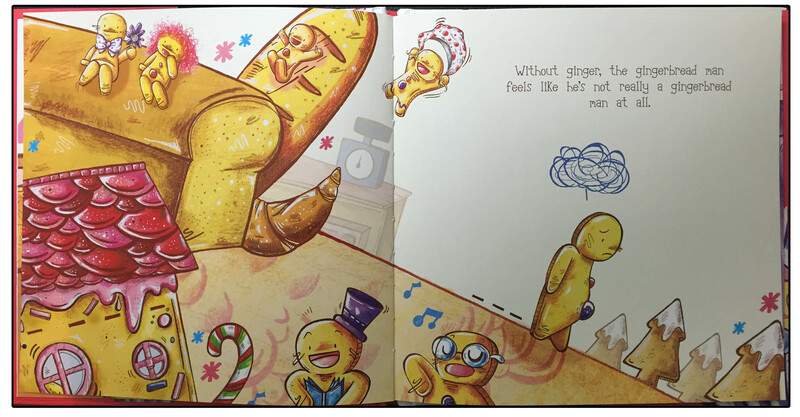 As he can’t be sold in the bakery, he lives at the back of the store and in his fury of being left out, causes absolute chaos for the baker until he orders the ginger-less bread man to leave the bakery forever. The little gingerbread man learns from the baker that it doesn’t matter what your ingredients are, but that kindness will bring friends and love into your life. This is a short, gorgeous little book about not fitting in, dealing with frustration and most of all kindness. 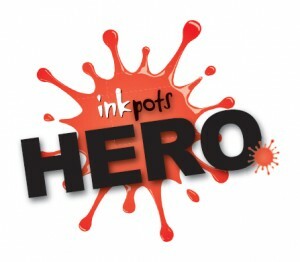 It’s a short story which makes it ideal for young children. Many of us have come across those little ones, who feel left out or different and show their frustration through bad behaviour and anger. This is a wonderful book to help and support those children and show that being kind can be much more rewarding. Really lovely! Kate Louise has written a charming little book which is really pleasurable to read out loud. The text is simple and clear and allows for plenty of expression. Just the right amount of words to get the story across! 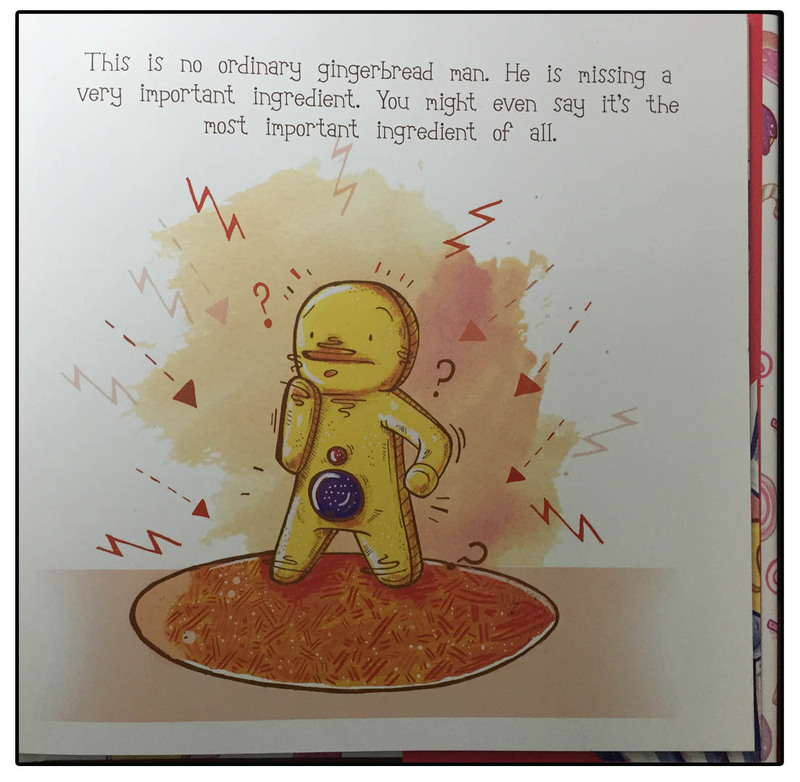 The illustrations by Grace Sandford, are vibrant and expressive, all set at the gingerbread man’s level, so you never really see the baker completely. It brings you right down to the cookie’s level and into his world, which is full of colour and detail, yet you strongly feel his loneliness at times, despite that. Although it seems like quite a sad story initially, the illustrations are still fun and playful so that children will fully engage with the book. I have to say, I really like the small sized format of this book, which is unusual to see in a picture book, but works really well here and makes it very portable as well as reinforcing the scaled down world of the little gingerbread man. A truly lovely bedtime or lap-time read. If you would like to find out more about Kate Louise or Grace Sandford, please take a look at the links below. Thank you for munching on this completely ginger free Book Monster review!